Robert Morris University is a private university in suburban Pittsburgh. 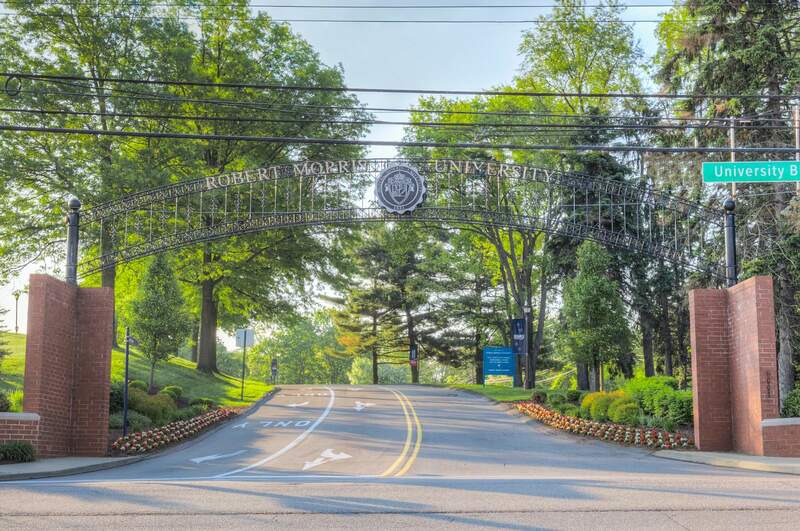 Robert Morris University prepares students for great careers and great lives. They have more than 80 undergraduate and graduate degree programs, plus a variety of professional certificates and customizable programs for corporate and organizational partners. As a student-centered institution, Robert Morris University transforms lives by building knowledge and skills, and by providing the foundations of engagement and well-being. This course is an advanced level chemistry course. It is designed to fulfil the organic chemistry requisites for biology and chemistry majors as well as for pre-medical, pre-dental, pharmacy, chiropractic, and chemical engineering schools. Students registering for this course must have a good background in general chemistry. Knowledge of chemical bonding, structure and physical properties, acid-base theory, kinetics and equilibrium are fundamental for the concept building approach of organic chemistry. This course introduces the student to the fundamentals of business operations. The course stresses the vital importance of understanding unique, environmental factors as major determinants of success or failure in managing around the world. Management, marketing, accounting, economics and finance are discussed extensively. It’s a very hard course. This course introduces students to quantitative methods and applications in business decision-making. The quantitative models studied in this course include matrix models, the Leontief input/output model, Markov chains, linear programming with shadow pricing and sensitivity analysis, transportation and assignment algorithms, and network models. Computer software is used as a practical implementation of these models. This course examines theories useful in analyzing business ethics, the ethical variables present in business issues, and the ethical dimensions of business decisions. Cases of past decisions made and situations faced by some of America’s largest corporations provide the basis for much of the course work. The course also enhances students’ abilities to articulate their responses through oral presentations and essays. This course provides a comprehensive explanation and analysis of sociological theory including both classical and more contemporary theories. Specifically the course cover, but not limited to, functionalism, conflict theory, symbolic interactionism, phenomenology, critical theory, postmodernism, and feminist theory. Students are advised not to miss lectures attendance and class notes because they contribute to the final grade. This course includes the basic introduction to organic chemistry and biochemistry. It familiarizes students with the role of nutrition in the human body and metabolic pathways that are essential for nutritional homeostasis, with a focus on macronutrient metabolism. Topics to include nutritional aspects, nutritional disorders, diet assessment, molecular structure, carbohydrates, proteins, nutrition and digestion, and bioenergetics. This course is extremely challenging and boring. This course is an exploration of the underlying economic functions of important credit and financial institutions. Topics discussed include deposit creation, bank reserves, organization and operation of commercial banks, bank statements, and portfolio policies. Students study the Federal Reserve System, monetary policy, and the relation of banking institutions to Treasury financing and to the United States economic system. This course provides a comprehensive overview of renewable energy technologies including biofuels, geothermal energy, hydroelectric power, hydrogen fuel cells, solar energy (active and passive), tidal power, and wind energy. The types of energy and potential uses from each energy source will be covered. The energy budget and overall efficiency will be calculated. The economic, social, and environmental impact of each technology will also be considered. This is a highly technical course. This course develops a student’s ability to use personal computers to produce pro forma financial statements and other projections of financial performance and financing needs. A broad range of forecasting techniques is discussed as is the interpretation of economic forecasts provided by third parties. Decision situations will be modelled using techniques such as sensitivity analysis and simulation. This is an advanced and the hardest course in geology that examines the terrestrial hydrosphere. Techniques to quantify groundwater and surface water flow rates and other dynamic properties are reviewed in this course. Porosity and permeability characteristics of groundwater mediums are also reviewed. The course includes a laboratory/recitation period which includes hands-on demonstrations of topics reviewed in lecture and experimentation utilizing the analytical techniques and equipment reviewed in the course.